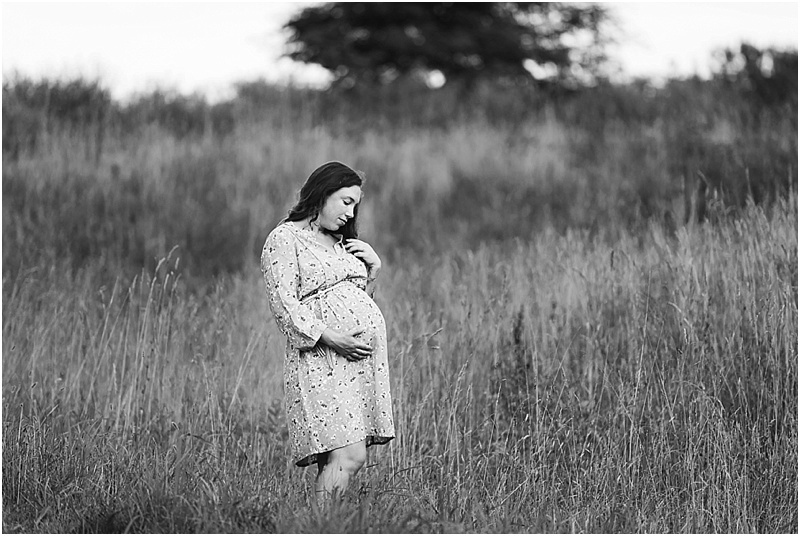 Glowing on a Hot July Day | Loudoun County Maternity Photographer — Northern VA Newborn, Maternity, and Family Photographer serving Ashburn, Leesburg, Purcellville, & Loudoun Co.
Everyone knows that women do not sweat... we glow. 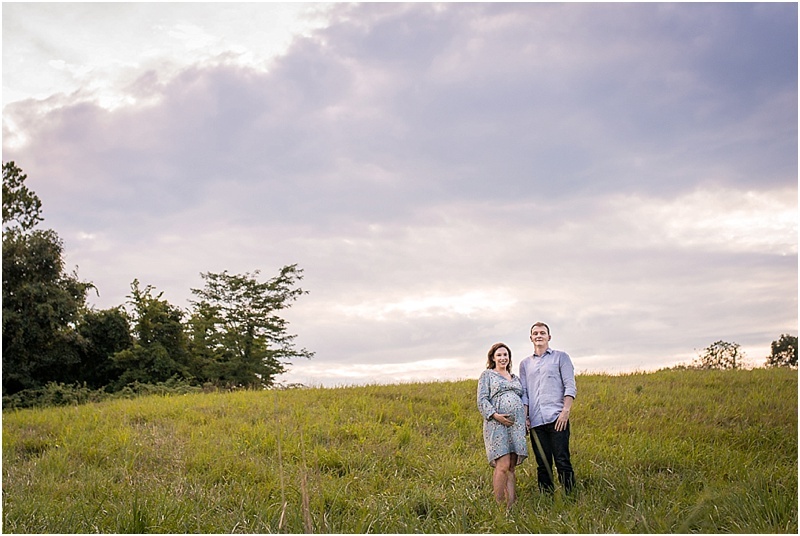 At least that's what I was telling myself on this blistering July day during this beautiful Leesburg, VA maternity session. I was a hot sweaty mess, but new mom, Katie, was absolutely glowing and, no, not because she was sweaty. She was glowing like a candle lit from within and looked absolutely gorgeous at 37 weeks pregnant with their first baby boy. Katie and her husband, Keith, were such troopers in the heat and humidity, especially with momma being near the end of her pregnancy. It was worth it though for the gorgeous skies we had that night! It's so exciting that they get to meet their little guy in a few short weeks. I can't wait to meet him at their in-home lifestyle session soon and hear what they have named him. Keith and Katie have a list of names, but are waiting until they meet their son for the first time to see which one feels right. I love that!! Biggest congratulations you two!! Thank you for allowing me to capture this special time in your lives!